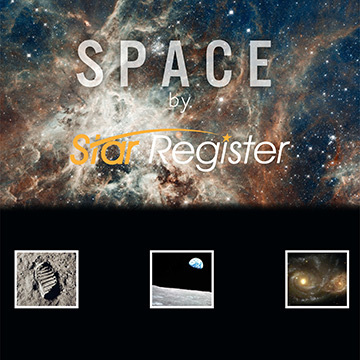 Limited Offer: We will also include the digital book, 'Space' for Free. This 50 page book contains some of the most stunning images of Space from Nasa's own gallery. A sealed digital Authenticity Certificate which can be shared how you choose. It includes their name, star location and your personal message. View space like you've never viewed it before. 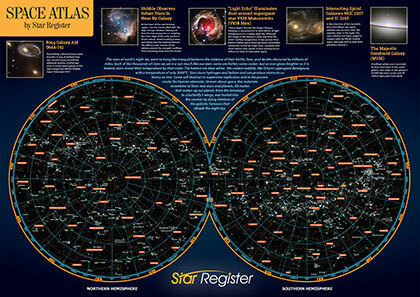 The detailed Star Atlas is packed full of fun and useful information about space and the stars. 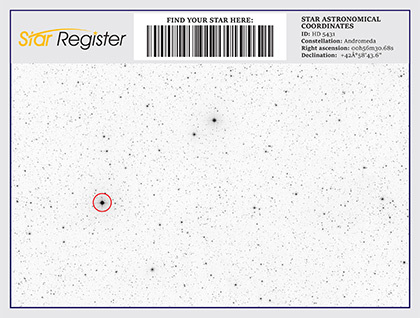 A digital Star map which outlines the ID and exact location of the star (circled in red). It makes viewing the star all the easier. 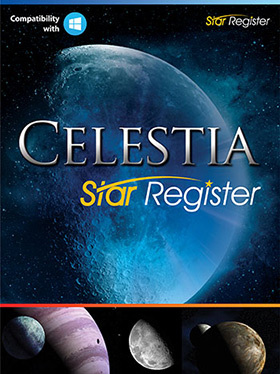 This fantastic application is for real-time 3D visualization of space, with a detailed model of the solar system, over 100,000 stars, more than 10,000 galaxies, and an extension mechanism for adding more objects. Just complete this one page form, and one of our experienced staff members will take care of all the paperwork. You are then sent a Digital Certificate, a Digital Star Chart & a beautiful eBook with some of the most astonishing pictures from space. 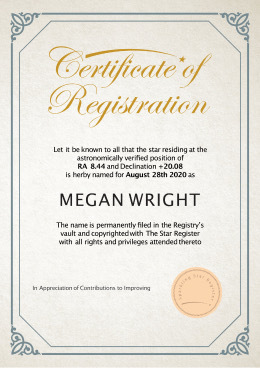 To locate your star, simply use the co-ordinates stated on the 'Star Coordinates’ on the StarChart and use Official Registry of Stars to locate it. 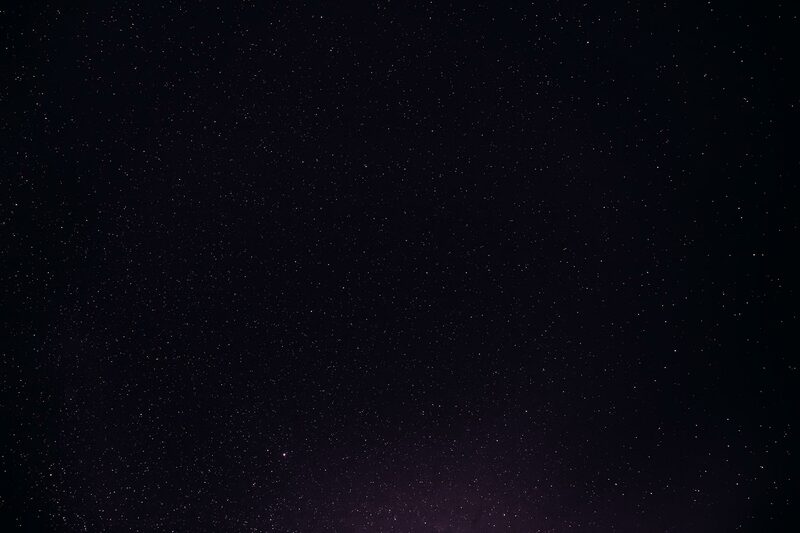 Now you can look into the night sky and marvel at your very own star. After you name a real star, you will receive a completely unique gift kit pack with all you need to know about your new star.